Most people want to avoid the cost, stress and time of selling their car privately. Are you fed-up with strangers turning up at your place? Are you concerned about receiving money from someone you do not know? Why should I sell my car to you? Below is a breakdown of how we work at QLD Auto Buyers. At QLD Auto Buyers, we offer a free online estimate on quote page, or over the phone on 0408 616 667. We value your car instantly, offer you free collection for when it suits you and we pay you before we leave with the car, no wonder QLD Auto Buyers are fast becoming the Queensland’s number 1 choice when it comes to selling unwanted car or truck. We pride ourselves on great customer service, with live telephone support and friendly knowledgeable staff, we make selling your car more personal. We offer the most convenient, secure and safe service available to sell your car. QLD Auto Buyers provide a fast and without risk way to sell your car. It could not be easier to sell a car and we know you will agree once you sell your car to us, so get in touch we one of our cash for cars team member now and sell your car the easy with QLD Auto Buyers. 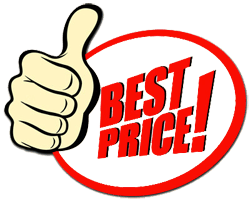 Excellent price for my car, very easy to use website with feasible results. Much better than endless phone calls to car yard dealers!